On to the next one…..
Getting a little short attention span here and just feel like jumping around right now. I’m expanding my army to be able to field a full on dread bash and I need to add two squads of kans and another KFF Big Mek. The kans are the immediate need as I’ve got a KFF and a shokk mek so I can field my 11 walkers, I just need the walkers right now. I know the pics are a bit boring and mostly form the box so I’m posting these to show the Kustom Mega Blastas I did up for’em. Struttin', and looking gud doin' it! For a very reasonable price I won an ebay auction for an extra set of ccw for the killa kans and a pair of kmb’s from the new deff dread kits. I also had a modified kmb from a mekboy model I originally converted for the Wazzdakka battle but never used. These were mashed together and the left sockets magnetized for swap-ability. 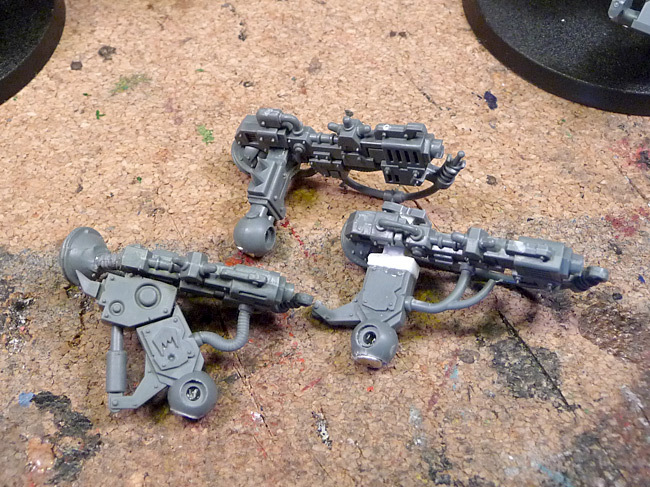 Tiny glyph plates from the battlewagon kit were used to cover the rough ends on the two dread kmbs attachment points. In review of the kits, they’re really really good – much like everything else coming out of GW in the last year and a half, especially orks. The details and variety are exceptional, just like the new stormboys kits. I have one big kudos and one big gripe though. Kudos to the engineers/designers/architects for finding better ways to include stable glue points to reduce/eliminate glue seeping out seams. Great job! Gripe? Could you make the connecting points to the sprue lines a little bigger? I mean, really. 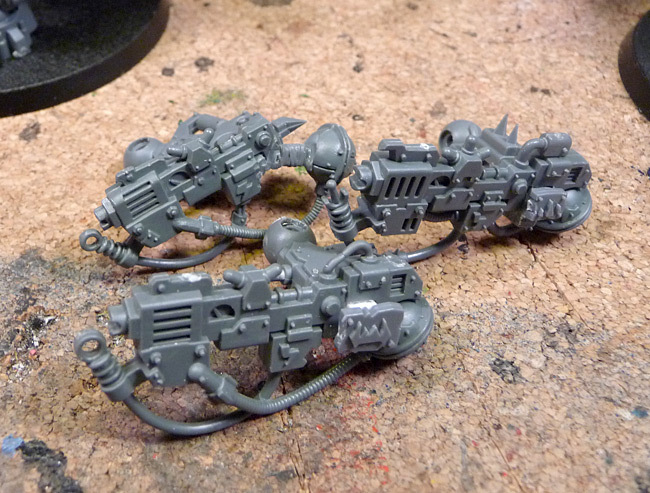 You’re doing a better job at where the sprue attachment points are going and how they show or don’t show on the finished models but some of them are kinda ridiculous. I spent more time than expected being really careful to not overcut and nick something else on the sprue and more time cleaning up LARGE spots of sprue excess. 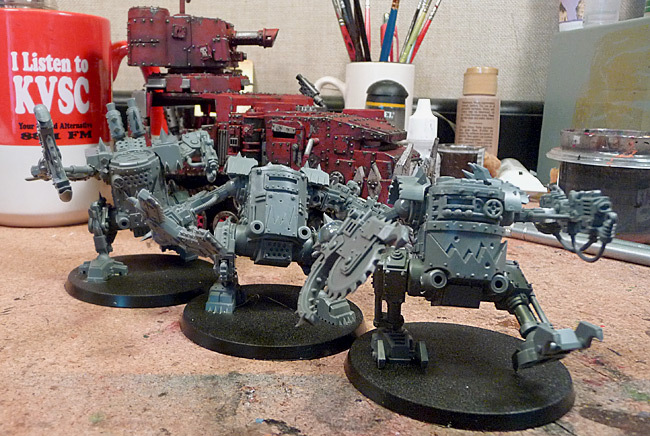 Other than that (and not including the kmb in the kit… ) I think these are very fun and solid models. Every warboss should have at least a couple.